Well over half the service contracts sold each year to consumers are backed by publicly-traded insurance companies based in the U.S. What follows is a list of their financial strength ratings and a look at their stock market track record since 2008. The reason it's so hard to gauge the size of the extended warranty and service contract industry is because it's typically a small part of a lot of large companies' overall business. For the retailers who sell service contracts to consumers, the resulting revenue is rarely more than 5% of their total sales (though the protection plans may make a much more significant contribution to their net income). So it's typically lumped into the "other" category, along with gift cards and accessories. 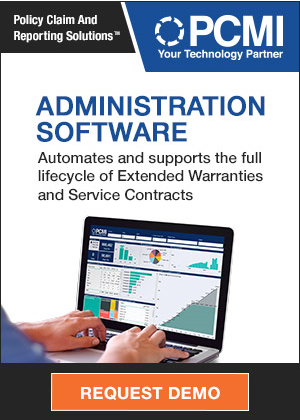 For extended warranty administrators, this source of revenue is their living. Most do nothing else but process extended warranty contracts. However, most of these companies are privately-held, or they're small subsidiaries of very large companies, so again we never get to see the relevant numbers listed separately in public financial statements. However, it's an open secret that the ranks of the insurance companies that underwrite the actual service contracts are dominated by public companies that report their extended warranty revenues in their financial statements. By our estimates, just over half the vehicle service contracts sold, and just over three-quarters of the appliance, electronics, and smartphone protection plans sold, are underwritten by a public U.S.-based company. So a good place to start would be to look at the insurance companies that do the actual underwriting. Let's start with the ten market-leading companies whose stock is traded on either the New York Stock Exchange or the NASDAQ Global Select Market exchange. In the table below, we've listed the ultimate parent company's name, its stock ticker symbol, and its current A.M. Best Financial Strength Rating. Strictly speaking, it's the underwriter that gets the A.M. Best rating, but since we're also looking at stock market performance of each of these entities, we're listing the parent company's name here. The names of the insurance companies that actually underwrite the service contracts are usually completely different than their parent companies' names. For instance, while Allstate Corp. is the parent company, it's the First Colonial Insurance Company that underwrites vehicle service contracts for half a dozen administrators, some of which are also owned by Allstate. Anyone who looks at the terms and conditions of their AppleCare service plan might come across the name of the Illinois National Insurance Company. One would have to do some digging to connect that name to AIG. AmTrust and Assurant have extensive U.S. and international operations in both service contract underwriting and administration, on both the automotive and consumer retail sides. And both are longtime sponsors of this newsletter. Allstate, of course, is a top property and casualty insurance company, with a market share in personal automobile insurance that's second only to State Farm's. AIG is a top life insurance and P&C company, but for our purposes it's also the underwriter for AppleCare service contracts and for Best Buy's Geek Squad protection plans. And it also owns the Service Net administration unit. CNA underwrites both its own vehicle service contracts as well as the mobile phone protection plans administered by Asurion LLC. Old Republic owns companies in both the vehicle service contract market and in the home warranty market. Ally Financial used to be part of General Motors, for which it administered and underwrote vehicle service contracts. It used to be known as GMAC, but since the bailouts began, it has been owned by the U.S. government. Its stock began trading publicly only last April, as the government began looking to cash out. Fidelity National and First American are primarily title insurance companies, but both are also in the home warranty market. Interestingly, their respective title insurance units are rated lower than their service contract underwriting units. And then Mercury General is probably the smallest service contract underwriter on the list, through its ownership of Mercury Insurance Company. The latter is primarily a personal auto insurance company that competes with the likes of Allstate, State Farm, and GEICO, but it also sells what it calls mechanical breakdown protection plans -- which are what everybody else calls vehicle service contracts. Despite their small market share, we listed them here for two reasons: 1) they're public, and 2) they're highly rated by A.M. Best. There's one more company that we want to add to this list. ServiceMaster Global Holdings Inc. is the parent company of American Home Shield, the market leader in home warranties. Its stock trades on the NASDAQ under the ticker SERV. However, it self-insures, and it isn't rated by A.M. Best. So while we're going to include it in the stock market performance charts below, we're not including it in the table above. And then there are a variety of service contract underwriters that are either part of a private company; are part of an international insurance company; or are a subsidiary of an automotive manufacturer. However, they're still rated by A.M. Best. We've listed eight of the largest below, along with their Financial Strength Ratings. American Road and Toyota Motor Insurance are owned and operated by top car manufacturers, for the convenience of their dealers who sell the vehicle service contracts. They function in much the same way that GMAC once did, before its spin-off from GM and its eventual mauling by a three-headed dog from the underworld. JM Family Enterprises Inc., founded by the legendary Jim Moran, owns a network of Toyota dealerships in Florida and Georgia, along with Jim Moran & Associates Inc., Fidelity Warranty Services Inc., and their underwriter, the Courtesy Insurance Company. It's a privately-held company, as is Helios Financial Holdings Corp., the owners of Dealers Assurance Co., which has a small foothold in both vehicle service contracts and consumer product service contracts. Fireman's Fund is owned by the German company Allianz SE, while Universal Underwriters is owned by the Switzerland-based Zurich Insurance Group Ltd. Both their stocks trade publicly in Europe, but are not traded in New York. And then there are two U.S.-based underwriters that recently changed hands. Virginia Surety Company Inc., part of the Warranty Group Inc., was sold last year by Onex Partners to TPG Capital, though A.M. Best and others list its parent company as Wolverine Advisors Inc. of the Cayman Islands (a British territory). And finally, Protective Life Corp., the owners of Lyndon Property Insurance Company, was recently acquired by the Tokyo-based Dai-ichi Life Insurance Company Ltd. Its stock (ticker: PL) ceased trading just this week, which allows us to include it in the charts below (see Figure 5). What follows is a six-and-a-quarter year tracking of a portfolio of 12 service contract-related stocks. It includes the ten companies listed in Table 1, along with both ServiceMaster and Protective Life. In each case, we took each company's stock price on October 31, 2008 and set it equal to 100. In other words, when it gets to 200, it is selling at twice the price it was on October 2008. When it gets to 400, it's selling at four times that price. And so on. First American split itself in two and FAF shares began trading in May 2010. Ally shares began trading in April 2014. ServiceMaster began trading in June 2014. In each case, we set their first month's stock price to equal 100, and added them to the others. In Figure 3, the stocks of AmTrust and Fidelity National have appreciated remarkably since the dark days of October 2008. AmTrust hit an all-time high of $59.31 per share on December 15 of last year, though it has fallen back a bit in the weeks since. Fidelity National hit its all-time high of $37.06 per share on January 23 of this year, but it's down a few dollars per share since then. Allstate shares are trading for about three times as much as they did in October 2008 ($66 vs. $22). However, we would estimate that Allstate Dealer Services' underwriting revenues from the vehicle service contract industry are less than one percent of its total revenue. Therefore, we would assume that most investors are not aware of its presence in that market, and that it's not as much of a factor in their investment decision as are the other parts of the business. AIG, meanwhile, has gone through the wringer so often that it's remarkable they're still around. The most recent price of $49 per share is adjusted for a 1-for-20 reverse split in 2009, which corrected for a near total collapse in equity prices following the 2008 bailout by the U.S. government. For about half of the past six years, AIG shares traded below 100, which means below their October 2008 adjusted price of $31.27, which in turn is far below their peak (adjusted) price of $1,150 per share in May 2007. Let's put it this way: if someone invested a million dollars in AIG in May 2008, that stake would have been worth only $42,100 a year later. However, anyone who bought a million dollars' worth of those shares for 35 cents apiece at the bottom of the financial panic in the winter of 2009 would now be sitting on $7 million worth of stock. It all depends on your timing. In Figure 4, we're comparing four more underwriters, and once again their stock price as of October 2008 is set to equal 100. In this group, Assurant is the leader, having tripled its per-share price from $22 to $66 since 2008. On December 31, for an instant, the stock rose to $69.94, which is a new all-time high for Assurant. It's currently a few dollars below that high water mark. Old Republic is down a bit from its peak. Back in 2008, its common shares sold for $6.31. In November 2013, ORI rose as high as $17.45. But it's been at or below $15 for much of the time since then. Mercury General, despite its high rating at A.M. Best, has languished on Wall Street, though it's currently at the high end of its range. For most of 2008 to 2011, it remained below its October 2008 price, and by January of this year it was only 1.6 times as high. Meanwhile, Ally Financial shares are still below their April 10 initial public offering price. In our third group, Protective Life is the clear leader, though its stock ceased trading this week. Dai-ichi Life made its initial acquisition offer in June 2014, at a price of $70 a share. Since that time, the stock has remained on a plateau between $69.33 and $69.95 per share, which explains the curious shape of its data in the chart. Over the same time period, shares of CNA have almost tripled, from $13.97 in October 2008 to $38.96 in January 2015. They have, however, broken through resistance to close above $40 per share this week. But before the Lehman panic, they twice traded as high as $51: in 1998 and again in 2007. Finally, we have two companies that have joined the index since 2008. ServiceMaster started as a moth-proofing company in 1929. It was actually a public company from 1997 to 2007, under the name ServiceMaster Co. But then it was taken private, until its owners scheduled an initial public offering of stock in June, under the name of ServiceMaster Global Holdings Inc. Shares opened at $17.45 and have never looked back. Last month, they closed at $28.26 -- more than a 60% gain in just seven months. One reason for that swift appreciation may be the fact that ServiceMaster utterly dominates the home warranty marketplace. In 2009 we estimated the company's market share at 42%, and we suspect it's grown ever since. However, home warranties are only about a third of its business. The rest is in termite and pest control services as well as in janitorial and cleaning services. First American is also an old company, tracing its roots back to the suburbs of Los Angeles in 1889. But its common shares are relatively young. In May 2010, the predecessor company known as First American Corp. separated its real estate information business from its title insurance, home warranty and financial services operations, thus creating two new independent companies: CoreLogic Inc. and First American Financial Corp. It is the latter entity that we're tracking in Figure 5. Shares of FAF closed their first month at a price of $17.63 per share, and by January 2015 they were just about to double that level. But they're still around 40 cents short of that mark. First American, by the way, has the second-largest market share in the home warranty marketplace, after ServiceMaster's American Home Shield. So who have we missed? Besides these 20 market leaders, there are about a dozen other insurance companies that are in the business of underwriting service contracts, or were until recently, as is the case with Starr Indemnity & Liability Co. (rated A by A.M. Best, by the way). However, there are none that we know of that have more than a one percent market share going forward in either vehicle service contract, home warranty, appliance and electronics extended warranty, or mobile phone protection plan market segments (unless we count self-insured or uninsured administrators). If there are, please let us know. There may, however, be additional insurance companies underwriting service contracts in as-yet unexamined consumer market segments such as furniture, jewelry, or sports equipment. For instance, we know that Signet Jewelers Ltd. owns a property and casualty company called Zale Indemnity (rated B++ by A.M. Best). And we know that Signet, Kay, Zale, and Jared sell extended warranties. 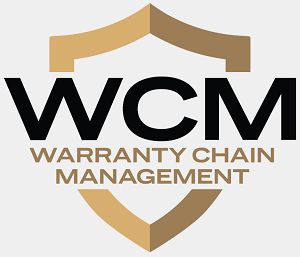 And we know for certain that there are additional insurance companies involved in the business-to-business segment of the extended warranty industry. For instance, the Caterpillar Insurance Company and the John Deere Insurance Company are owned by two of the biggest players in the heavy equipment category. There must be others. Former NHTSA administrator David Kelly might lead Takata investigation. RadioShack files for bankruptcy, sells most stores to General Wireless Inc.
Capstone Turbine says advancements in aftermarket services led to lower warranty expenses. Takata expects worse red ink amid global air bag woes. China to allow gray market luxury car imports in bid to cut prices. Navistar CEO sees 10 years of progress in 2 years on warranty costs. Insurance Bill passes unanimously in the UK House of Commons. CarMax denies Land Rover owner's extended warranty claim, then reconsiders. Bankers Warranty Group announces new partnership with Aaron's Inc.
National Warranty Co. removes sentence about Australian regulators from website. Toyota & Lexus dashboards melting under the heat of the Florida sun. Higher warranty & recall costs cut into Fiat Chrysler Automobiles profit margins. ServicePower Technologies signs two UK clients for ServiceOperations software. American Bridge, Fluor, USA Hoist & Caltrans argue over Bay Bridge elevator's warranty. National Warranty Services GM slams Australian regulators. Ball State's field wears out before its FieldTurf warranty expires. BoatUS warns boat owners against using 15% ethanol fuel in small engines. Stanwich Capital announces equity investment in Allegiance Administrators. EFG Companies launches Map My Miles mileage-only vehicle service contract. Speed Queen top load washer still has a full 5-year warranty. UniCarriers Americas upgrades forklift warranty to 2 years, unlimited usage. Arizona Department of Insurance may partially reimburse Sensible Home Warranty customers. Dai-ichi Life Insurance Co. completes acquisition of Protective Life Corp. When is it smart to consider an extended warranty? Unexpected warranty charges increase net loss at Beazer Homes. Ex-AIG chief Greenberg tells New York AG to drop fraud case against him. Direct Buy Auto Warranty fined $500k, settles state lawsuit, agrees to leave New Jersey. Ford struggles with higher warranty costs as revenue and income tumble. Coherent says lower warranty costs helped boost net income & earnings per share. Kentucky school district calls its Navistar buses lemons after student is hurt. Royal Enfield motorcycle warranty lengthened to 2 years or 20,000 km. SquareTrade says Seahawks fans are 11% clumsier than Patriots fans. HomeServe USA stops using Charleston Water System logo on letters and ads. Ally Financial launches Ally Premier Protection vehicle service contracts. UK appliance maker Binatone launches 2-year warranty in Ghana. VW dealer says his warranty work fell 50% to 60% over past 3 years. Mercury's Special Investigations Unit battles insurance fraud across the U.S. Computerized KitchenAid refrigerator replaced after multiple complex failures. Acer Chromebooks for education eligible for Acer Educare Warranty Programs. Kisha umbrella has Bluetooth link to smartphone app & 3-yr. warranty. Understanding the basic ideas about car warranties. Short interest in CNA Financial Corp. shares drops by 12.3%. Why investors need to consider Navistar stock for the long run. Connecticut considers bill to let Tesla sell direct to consumers. Biofuels industry in regulatory gridlock as it awaits EPA ruling. China Insurance Regulatory Commission says extended warranties are insurance. Sabreliner Aviation adds 4-year warranty for all aircraft paint jobs. National Recovery Technologies extends optical sorters warranty to 3 years. Toco Warranty releases checklist to help drivers navigate winter weather. A warning on warranties: Fisher & Paykel fined after ACCC investigation. StrucSure Home Warranty hires Gayle Schoonover as VP of Sales in the Midwest region. Best Buy sees declining demand for extended warranties. NYC Council members propose funding for more police bullet-proof vests. Newly-purchased BodyVision police body cameras have one-year warranty. New home building laws start today in New South Wales, Australia. StrucSure Home Warranty names Tiffany Acree as Senior VP of Sales. Meritor extends OnTrac Customer Service Center's hours to improve support. 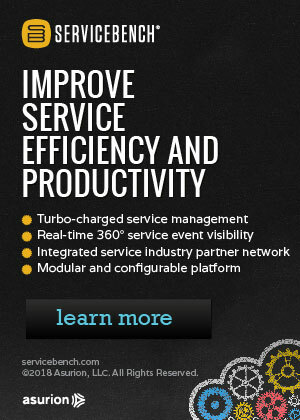 ServicePower Technologies wins 2014 M2M Evolution IoT Excellence Award.